At almost every ghost hunting event I attend, long-time fans of Ghost Hunters always ask me why Grant Wilson left the Ghost Hunters TV show. On the show and at the TAPS website, Grant explained why he left the Ghost Hunters show. It wasn’t a sudden decision. It wasn’t related to interpersonal relations with fellow cast members. From what I saw, Grant got along fine with everyone on the investigation team. Nothing was inappropriate or hostile, on either side. His decision did not surprise me. Grant has always been an excellent paranormal investigator. However, I believe that his talents are greater in music and the visual arts. Several years ago at New Hampshire’s Spalding Inn (which Grant and Jason and their families owned), a few of us were relaxing on the hotel’s porch. I was completing a landscape painting on the hotel’s porch. I wasn’t sure if he was simply agreeing with me, or if what I said resonated with him. For many of us involved in paranormal research and the arts, it’s difficult to balance paranormal research and our creative interests. Ghost hunting, like many other interests, can be a fascinating hobby. That hobby can evolve to the professional level. However, whether you’re a professional or hobbyist, your interests may change. 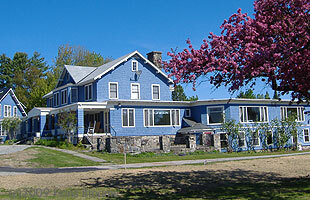 Many ghost hunters find the answers that brought them into ghost hunting, in the first place. Others conclude that there are no real answers. At that point, the person may quit ghost hunting or continue with renewed interest. I haven’t a clue if that was a factor in Grant’s decision. Nevertheless, I applaud Grant’s decision. He was ready to re-prioritize. Many people – in any field, not just TV – reach that point when their careers become too demanding. That’s especially true when you want more time with your spouse and family. And, life in “the industry” (in this case, the world of TV and public events) can skew anyone’s perspective on life and importances. 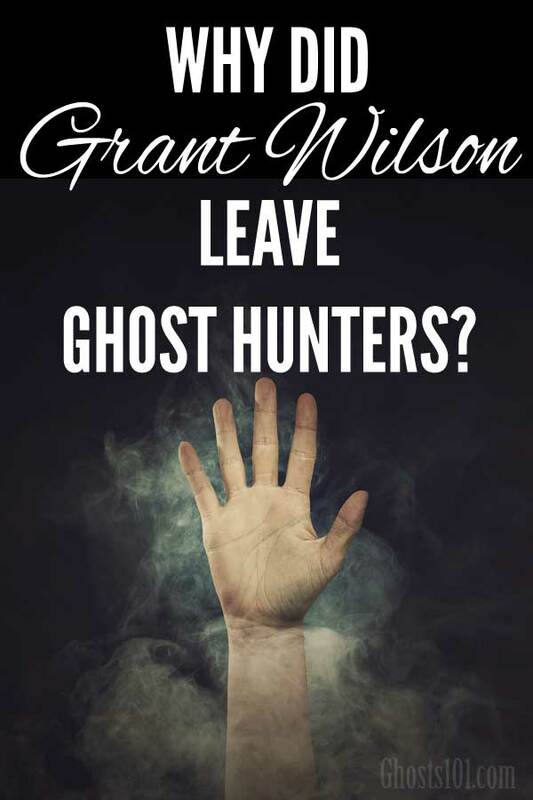 Yes, Grant Wilson left Ghost Hunters. That was a professional decision, and I wasn’t surprised by it. Grant hasn’t vanished from ghost hunting. He still appears at some ghost-related events and conference. He’s just reorganized his time to have more time for what he loves most. I think that was a smart decision. Having known Grant for over 10 years, I was uneasy about how unhappy he seemed, and how bitter – albeit quietly bitter – he seemed to become, the longer he was on the show. Even away from the camera, he said and did things that didn’t seem like the Grant I knew & liked. So, I’m glad he paused and re-evaluated how much he loved being on the show – and meeting fans – and what it was doing to his personal life, and the pursuit of what he loves most. It’s wonderful that Grant’s fans remained so enthusiastic about his work on the show and his personal well-being. To find out where you can meet Grant at ghost hunting events, here’s his events website: Senterstage.com. If you’d like to follow his career — as a ghost hunter, author, artist, musician, or game designer — see his website, GrantSWilson.com. There’s no mystery and no scandal in his decision. Grant Wilson left Ghost Hunters because it was the right time to do so. Of course, he was missed on the show, but I’m glad he made a decision that works for him. Certainly do miss ghosthunters. One of the best in the genre. Most people watched this show because of experiences they have had. There are no answers. We keep looking. Miss the program and hope to have it return somewhere. I also miss this show. Now i watch ghost adventurers with Zach Baggins. It’s great but I miss the ghost hunter crew! I loved this show, I know I’m late to show, but I real need a real show that debunk stuff & realizes not everything is evil or dark. Some spirts just need to have there story told. I love Amy & Adam’s new show they r looking for truth. Make a new show not always looking for the dark side, just finding the scientific facts. If U look for dark side it will find U. Miss ya but looking forward to seeing U on Josh Gate show w/ Adam & Amy. Stat your own real show dont let producers change the show. Please thank about it! I’m so glad that it was a simple answer, and Grant is happier now. It’s sad when the media go spreading wild rumors. I was just in the parking lot to the old Taps office today.What a sad feeling I had while looking at the windows as an end to a show I followed devotedly.I hope to see the TAPS crew again in the near future. I also liked the show. It seems other shows spend so much time screaming instead of looking for answers. Previous Previous post: Why do some ghost hunters lock themselves inside haunted places? Next Next post: How do I contact Ghost Hunters’ TV show?